Shannon advocates for small and large businesses facing complex product liability, toxic tort or intellectual property issues. 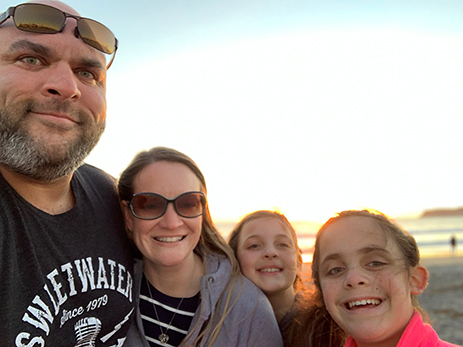 With experience as an engineer and small business owner in the automotive industry, Shannon frequently taps into his passion for technical matters based on mechanical or product complexities. He enjoys breaking down the issues, then constructing strategies and arguments that produce favorable client outcomes. International corporations in the automotive, specialty chemical and petrochemical industries rely on Shannon to defend them against toxic tort and product liability claims. He also represents a growing list of clients in the consumer products and firearms industries. 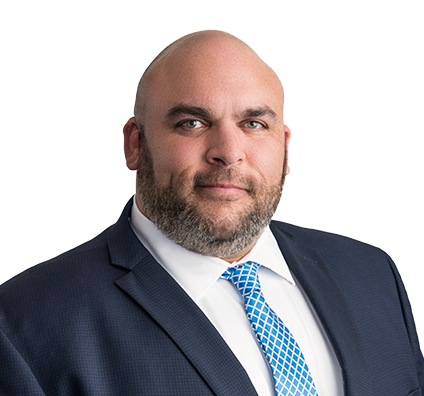 Shannon has appeared in cases pending in state and federal jurisdictions in Missouri, Illinois, Indiana and Texas, and led a five-person trial team that gained a favorable verdict before a federal jury. Shannon has resolved complex intellectual property disputes involving patents, trade secrets and non-compete agreements. As a member of the firm's Cortex team, Shannon also collaborates with early-stage businesses and those on the forefront of technology. He advises them on negotiations, risk management, discovery issues and litigation strategies so they can focus on moving forward. A professional musician, Shannon remains passionate about singing, songwriting and playing guitar. He serves as a worship leader of his church and occasionally plays at venues around St. Louis. 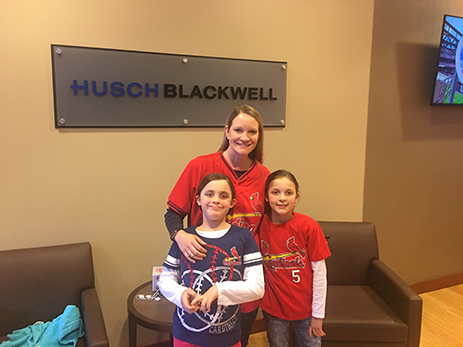 He devotes the bulk of his time, though, to traveling, watching Cardinal’s games and enjoying the outdoors with his wife and daughters. A former owner of a hot rod shop, Shannon also is a car and motorcycle enthusiast. He has participated several times in the Hot Rod Power Tour, an annual cross-country journey that includes car shows and drag racing events (at sanctioned race tracks, of course) in multiple cities along the way. 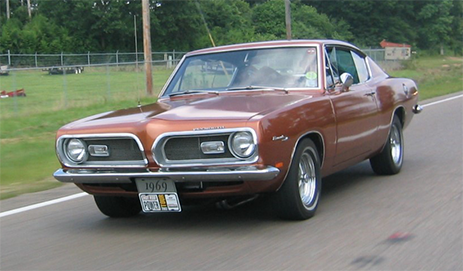 He also lovingly maintains a 1969 Plymouth Barracuda that has been in his family since it rolled off the showroom floor. Shannon, his wife and daughters at the beach. 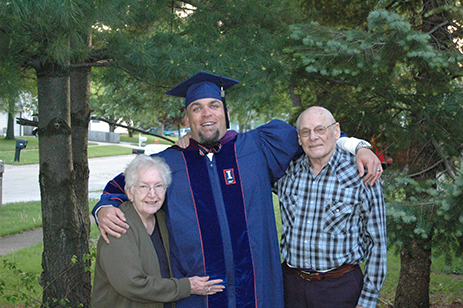 Shannon and his family celebrate his graduation from law school. The Peters clan heading out for a St. Louis Cardinals game. 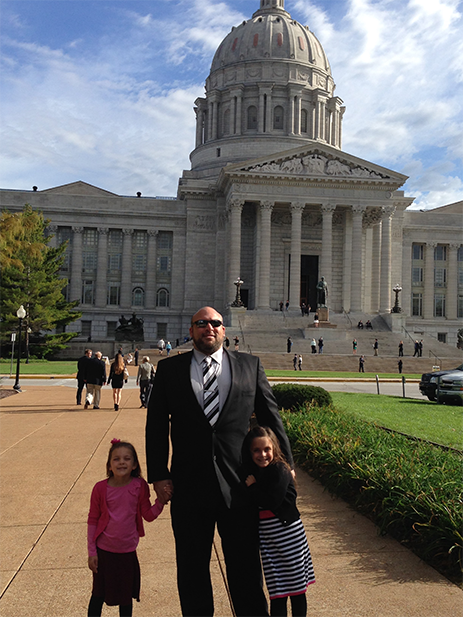 Shannon and his daughters at the Missouri State Capitol Building. Throughout his career, Shannon has handled numerous pro bono matters. He was a member of a trial team responsible for defending and ultimately vindicating a young man who was incarcerated for over a year after being wrongfully accused of a crime as part of the Missouri Coalition for the Right to Counsel’s Public Defender Volunteer Lawyer Program. He has served as chair of the governance committee and vice chair of the board for Room at the Inn, an organization that provides immediate, temporary shelter to homeless women and families in the St. Louis region.